That impish goddess Nyx is plucking stars from the night sky and hiding them in magical puddles. Only you, the special one, can free the stars by tapping the puddles with your finger of Zeus-like power. 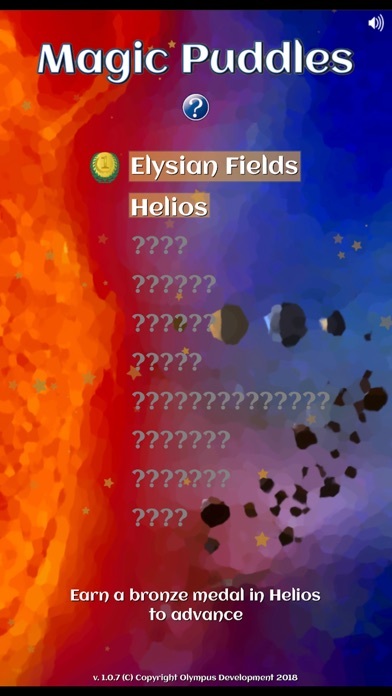 With 10 progressively more complex levels, you’ll need both sharp memory skills and lightning reflexes to save all the stars and win a gold wreath for each level. 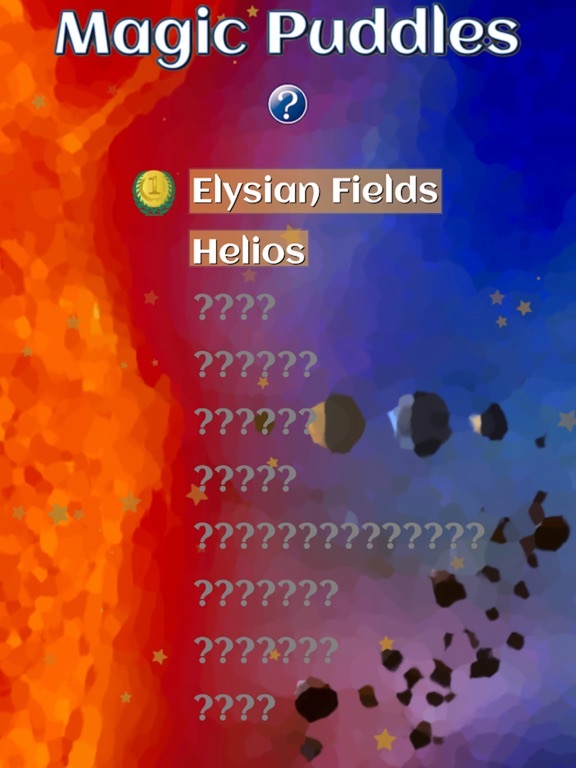 From the welcoming and easy Elysian fields you'll soon be cursing Cronos and hating Hades as you plummet further into pandemonium at the playing fields of Olympus and Zeus. 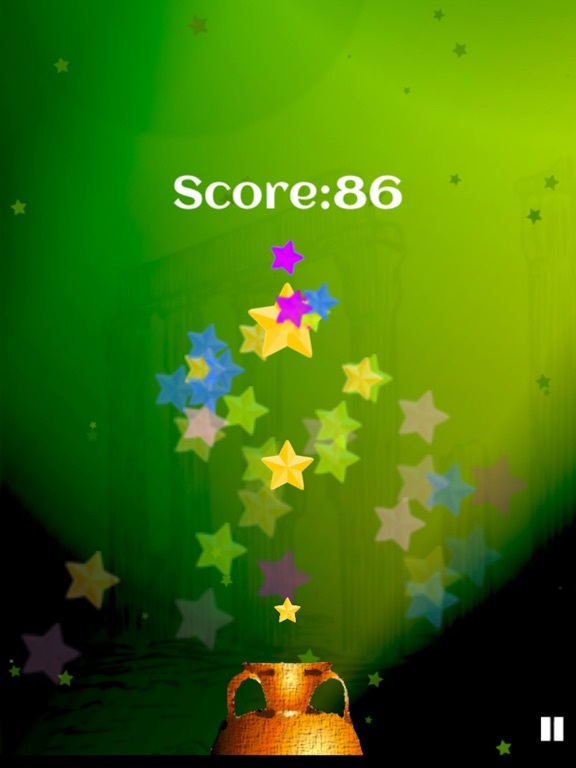 Magic Puddles is easy to play but incredibly difficult to master. It will test your memory skills and reaction times in equal measure! Puddles will appear, grow, shrink and disappear. You’ll find things a lot easier if you can memorise the levels so you can anticipate where they will appear. You score 2 points when you tap an expanding puddle, but only 1 as it contracts. 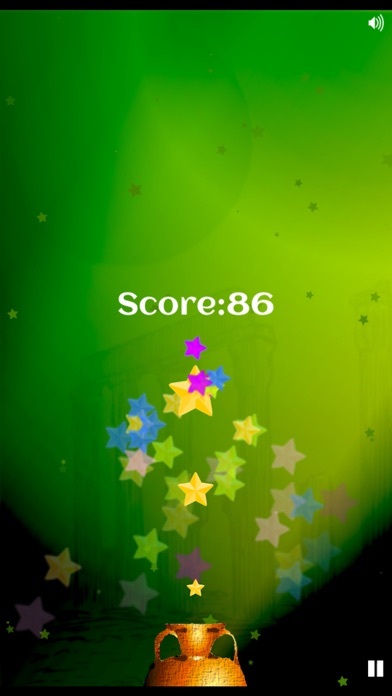 At the end of the level you’ll score a bonus point for each star you’ve freed. 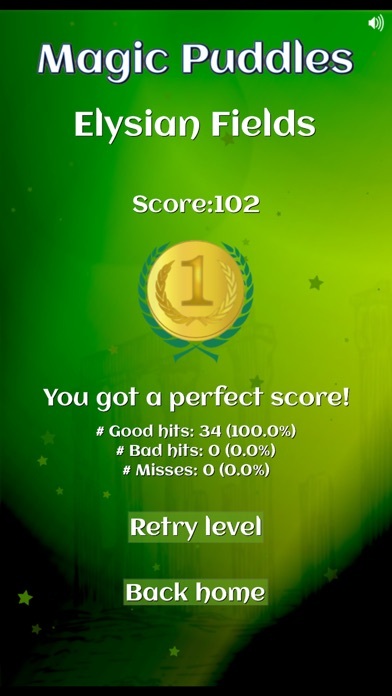 If you score enough points to get a bronze medal (or better), you can progress to the next level. 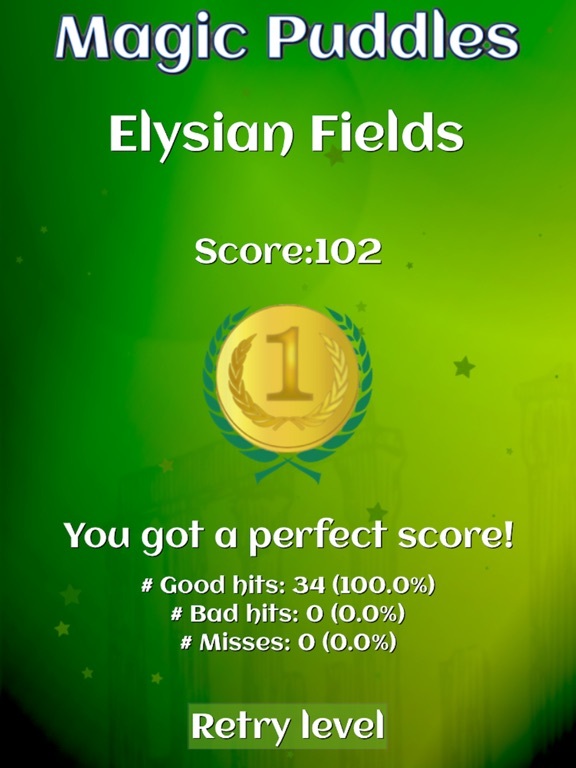 If you hit every puddle in the level before they contract you will get a perfect score - and a special wreath.